What’s in a name for local WNY businesses? Some names are obvious first or last names of individuals or family members. Some involve a Buffalo pun. Some have ties to establishments from the city’s past. And some are, well…different. We sought to find how their names came to be. Since opening its tap room in 2015, Big Ditch has become one of the city’s most popular watering holes. While the genesis of its beer names (Hayburner, Electric District Pils) warrant backstories of their own, we asked president and cofounder Matt Kahn about the name of the brewery. With expansion into multiple food trucks and two brick-and-mortar locations in less than 10 years, just who is Lloyd, anyway? Co-owner Chris Dorsaneo says the answer is everyone. And no one. The explanation is as flavorful as Lloyd’s Rocket Sauce. Mike Shatzel is the restaurateur behind some of Buffalo’s new favorites (Allen Burger Venture, Liberty Hound) and most iconic spots (Cole’s, Brennan’s Bowery Bar). 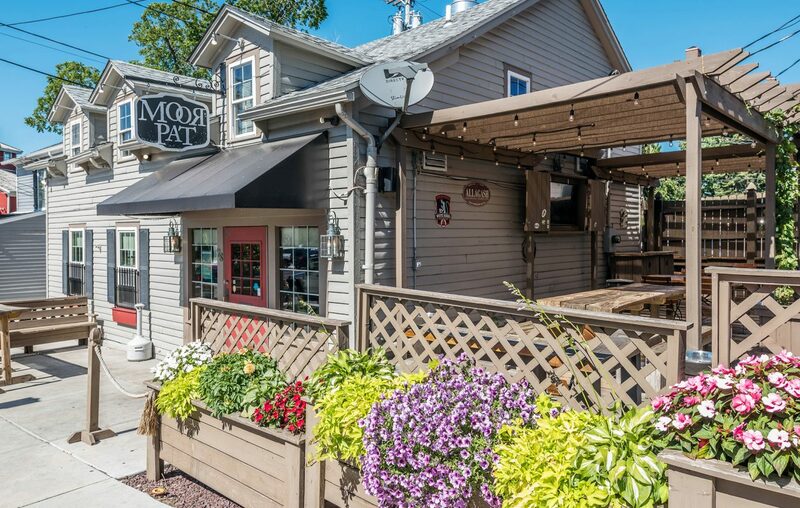 Two biggies for beer lovers are Elmwood Avenue’s Thin Man Brewery and Williamsville’s Moor Pat. The latter, of course, is “tap room” spelled backwards. But the way Shatzel came upon this moniker is certainly unique. The Thin Man name was inspired by a trip to a Buffalo landmark. Public Espresso co-owner Sam Scarcello says the inspiration for his coffee house’s name came in both literal and figurative senses. Owner Sharon Randaccio says the name for her women’s apparel store on Elmwood Avenue came from an idea session held with her girlfriends. She said Red Siren combined those ideas perfectly, inspired by the sirens in mythology. “Besides, everyone wants to be a mermaid, don’t they?” says Randaccio. West Side hotspot Tipico Coffee has developed a devoted following since opening in 2015. The name, says owner Jesse Crouse, was inspired by some of unique places in which he’s worked. The name also calls to mind Crouse’s goals for his establishment. In just three years, Toutant has risen to the top of the local restaurant hierarchy. Owner and chef James Roberts says there is no literal translation for the word “toutant;” it was inspired by family history. Dobutsu, Roberts’s new Asian-Pacific restaurant on Seneca Street, “is a whole other animal — literally.” It is, in fact, the Japanese word for animal. There is a mystery behind Williamsville’s venerable Eagle House. General manager Tricia Brown’s family has owned the restaurant for more than 40 years, but says in all their research they’ve never learned the name’s genesis. Since its founding in the 1800s, it’s always been a variation on a theme: from the Eagle Hotel to the Eagle House Tavern to the Eagle House Restaurant. Town Historian David Sherman thinks it’s a reflection of the eagle being a symbol of American since its earliest days. Or, maybe it’s a reflection of an early newspaper headline. It’s possible we’ll never find a more direct explanation than that. If you’ve been to Sweet Jenny’s Ice Cream in the historic Williamsville Water Mill and wondered what goodies await upstairs, just ask a kid, teen, tween, or, well, any adult in an Avengers T-shirt. They will eagerly tell you about 1811 Comics, one of WNY’s coolest and most well-stocked comic book and toy shops. Husband and wife Howard and Tara Cadmus own both. As expected, he says the name of Williamsville’s only comic shop is a direct reference to the Water Mill’s past.